These chicken drumsticks were very fresh and sold at a bargain price. Needless to say, I bought a large bag back to home, and then turned into this insanely delicious Hoisin chicken drumstick dish. Once this dish was served on our dining table, we couldn’t wait to dig in. Every delicious morsel we slurped up would intrigue another. Believe me, the sauce is addictively tasty. 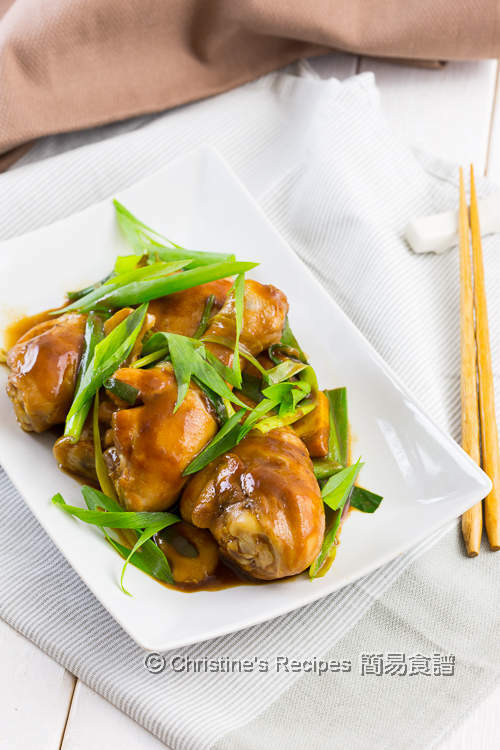 It’s sweet, sticky with well-balanced Asian flavours. 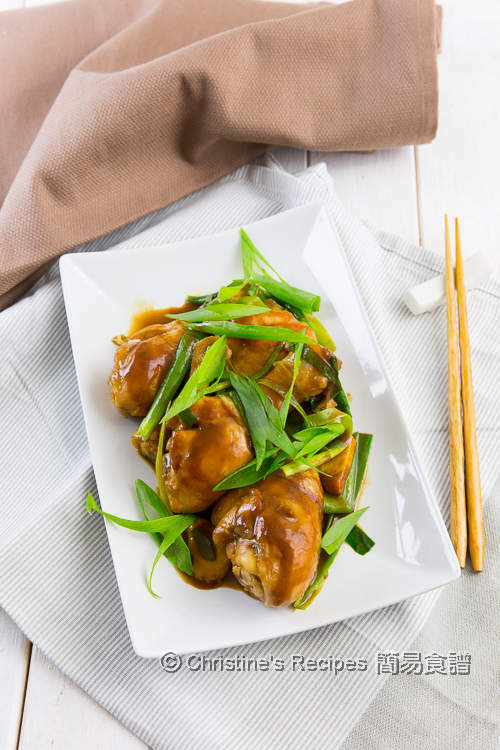 These Hoisin glazed chicken drumsticks can be served on their own, or with a side dish, or salad. 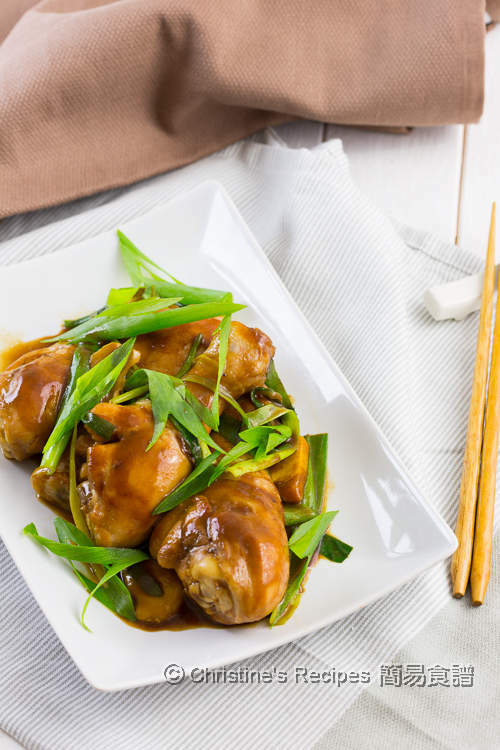 My husband loved to have these drumsticks going with his favourite steamed rice. Go for whatever you like. To make this dish is absolutely easy. Firstly, prepare and mix all the sauce ingredients well. You’re good to go then. Pan-fry the marinated drumsticks. 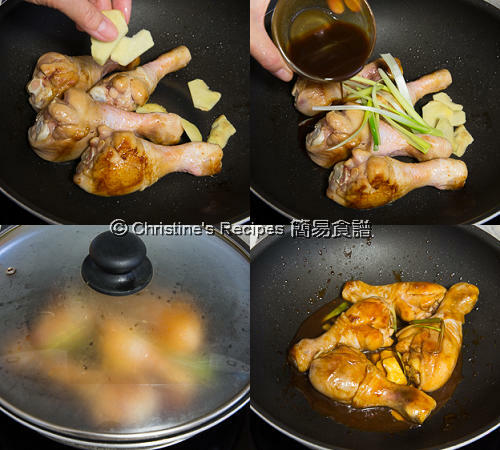 Pour in the sauce mixture and cook it with the chicken drumsticks until the sauce is thickened and sticky. voilà! It’s done. Every mouthful is so satisfied. Mix the sauce ingredients well. Set aside. Cut the spring onion into sections. Green and white parts set apart. Rinse the drumsticks and wipe dry. Season with salt, white pepper and light soy sauce. Set aside. Heat oil in a pan over medium heat. Pan fry chicken drumsticks until lightly brown, about 8 minutes. Add in ginger slices and spring onion (white parts). Stir to combine until aromatic. Pour in the sauce. Cover and cook until the chicken is cooked through and sauce reduced by 1/3 and thickened, about 10 to 12 minutes. Stir in the spring onion (green parts). Serve hot. You’ll find the chicken drumsticks will release some water after being cooked for a few minutes. So don’t need to add any water at the first stage. 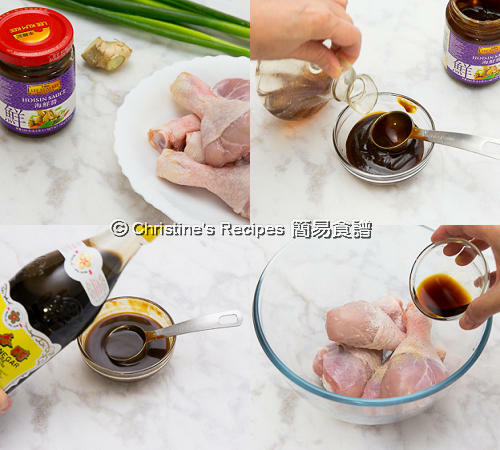 Cooking with lid on will speed up the process and keep the chicken moist. The power of every stove is very different. Please adjust the cooking time accordingly. Make sure the stove heat is not too high as you don’t want it get burnt. For safety's sake, be sure to cook until you can’t see any blood in the bones. That means the drumsticks are fully cooked. Very delicious and flavourful! Need to stock up my Asian condiments soon.